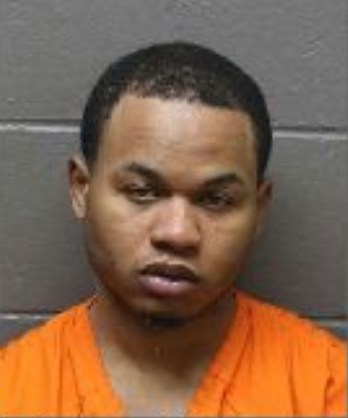 A custody dispute led to a three-hour standoff in Atlantic City and charges against both parents last week. Officers were called to the 1100 block of Pacific Avenue at about 5 a.m. Friday, Sgt. Kevin Fair said. Nicolette Cohen told officers that her child’s father, Umar Alli, took their 6-month-old daughter and refused to return her, according to the report. There was no custody agreement in place, Fair said. But officers tried to contact Alli by phone and checked several areas to make sure the little girl was safe. During the investigation, officers learned that Cohen and Alli were involved in an earlier the night before at a different motel, Fair said. As officers were arriving, Cohen helped Alli flee the motel because he had an active warrant for his arrest in South Carolina, according to the report. Alli took the child and jumped from a second-floor balcony with her in his arms. Detectives got an address in the 800 block of Maryland Avenue, where Alli had taken the baby. Members of the department’s SWAT and Crisis Negotiation Teams arrived on scene, and negotiators with help from family were able to convince Alli to peacefully surrender. While Alli was inside, he posted a video to his Instagram, saying he was being set up by his baby’s mother and government officials. In the video he also names Cohen. Alli, 27, of Atlantic City, was charged with being a fugitive from justice, endangering the welfare of a child, simple assault and hindering apprehension. Cohen, 24, of the Bronx, was arrested after it was learned she assisted Alli in fleeing from the first call with the child as officers arrived to the motel. She was charged with endangering the welfare of a child and hindering apprehension, and released on a summons.